Riviera River Cruises boasts a diverse fleet of ships sailing Europe’s most popular rivers. Photo courtesy Riviera River Cruises. Founded more than 30 years ago in the UK as Riviera Travel, Riviera River Cruises has recently started targeting English-speaking guests from the United States and Canada for its value-priced river cruise offerings in Europe. The company has a fleet of 12 vessels on the rivers of Europe, with more on the way. Unlike other river cruise lines, Riviera offers a price-point that is substantially lower than most of its competitors. It does this by “unbundling” some features, like inclusive drinks. 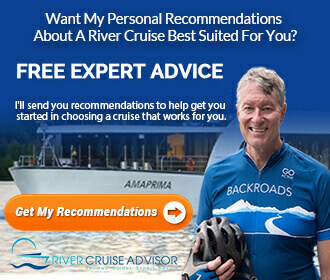 You’ll pay extra for things like bottled water and beer, wine and spirits, but Riviera believes the overall cost savings justify the add-on charges by making river cruising accessible to a wider swath of people who might be put off by the multi-thousand-dollar-fares charged by other lines. While Riviera un-bundles some features that others include, like drinks, the cost savings can be substantial. It’s luxury river cruising, value-priced. Photo courtesy Riviera River Cruises. 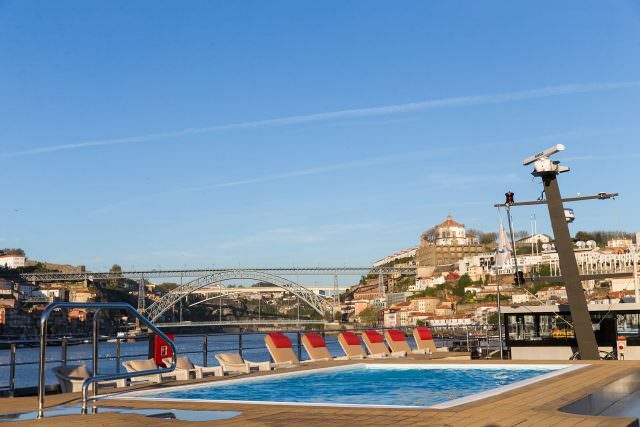 For those who want to add a touch of all-inclusivity to their Riviera experience, the company is offering drink packages for its 2019 river cruises that start at roughly $159 per person for an average weeklong voyage, and $299 for longer voyages. This adds draft and non-alcoholic beer, red and white house wine, bottled water, soft drinks, and juices on a complimentary basis to lunches and dinners served onboard. 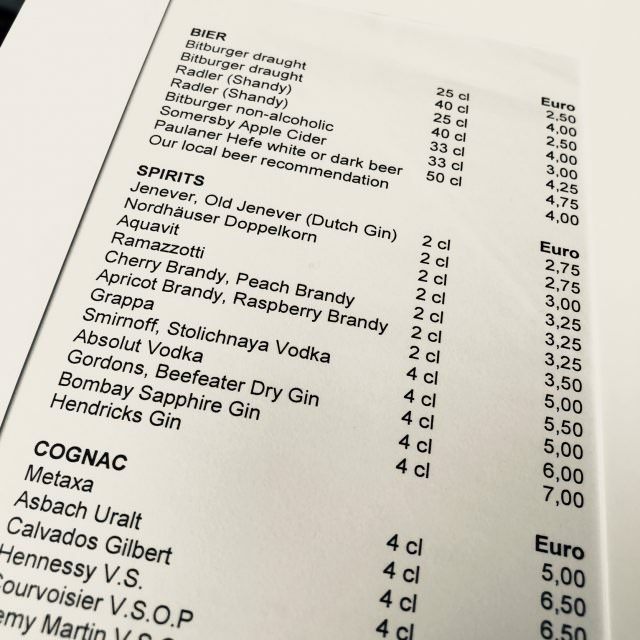 Spirits, or drinks purchased outside mealtime, come at an additional but reasonable cost. For those who don’t imbibe – and who don’t wish to pay for an inclusion they won’t make use of – Riviera’s bare-bones pricing structure makes a lot of sense. 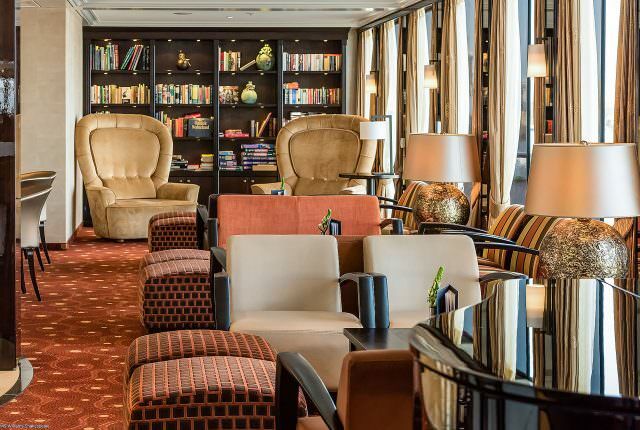 Riviera offers plenty of unique touches, like the cozy library aboard the ms William Shakespeare. Photo courtesy Riviera River Cruises. Riviera also offers some unique extras aboard its ships, including two dining venues aboard most ships, luxury toiletries from Crabtree & Evelyn, L’Occitane or Rituals (depending on the ship), onboard fitness centers, and even steam rooms and saunas aboard select vessels. Other niceties – like the tea and coffee-making facilities included in every cabin – reveal the line’s British heritage. Perhaps one Riviera’s strongest features, however, is just how solo-traveller-friendly the line is. Every ship in the fleet offers cabins that can be booked, depending on availability, for little to no solo traveller supplement. In addition to offering a wide variety of stateroom choices, Riviera River Cruises waives the solo traveler supplement on many entry-level cabin categories. Photo courtesy Riviera River Cruises. Riviera’s river cruises offer plenty of value, with luxurious accommodations and ships operating fascinating and engaging itineraries throughout Europe. With a new office in the United States and bookings available in U.S. Dollars, getting onboard a Riviera ship has never been easier. It is important to note that Riviera’s offerings in North America may differ from what the company provides to its UK-based guests. 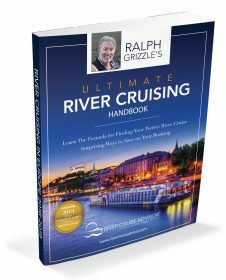 Unless otherwise noted, details in this overview and the fleet profiles refer to itineraries, sailings and amenities offered to North American-based guests as outlined in the company’s 2018 river cruising brochure, and on its dedicated website. 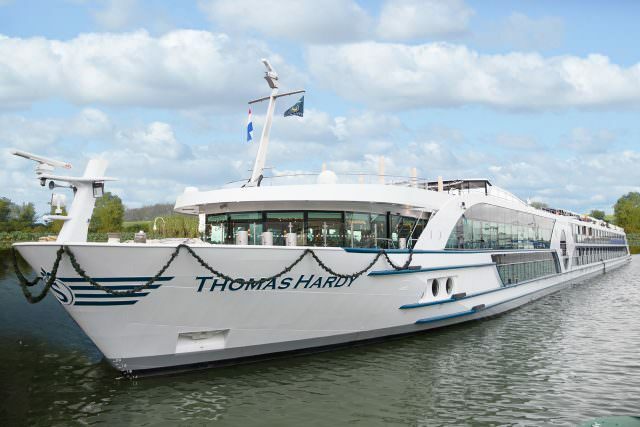 One of Riviera’s newest ships, the ms Thomas Hardy carries 169 guests along the waterways of Europe. Photo courtesy Riviera River Cruises. The Riviera River Cruises fleet is primarily made up of newer river cruise vessels carrying between 126 and 169 guests. Most of these ships were launched in 2017, and the company is expecting additional vessels in 2018. 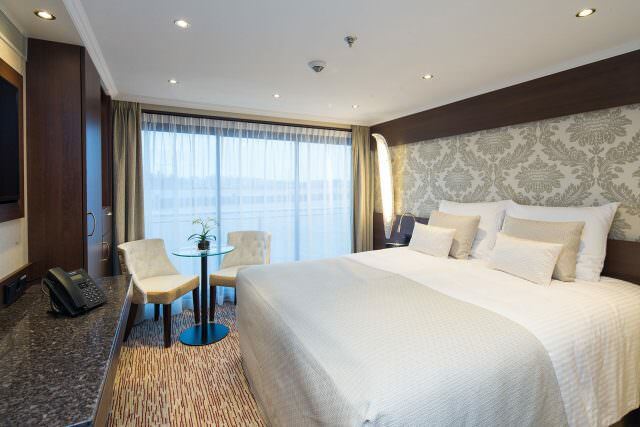 All Riviera River Cruises vessels have a certain number of staterooms that are available to solo travellers with no single supplement, subject to availability. These are usually a lower-category stateroom, but the removal of the single supplement is a huge bonus to travellers wishing to take a solo river cruise journey. Staterooms and Suites are stocked with luxury toiletries, and all rooms have beds that can be set up as either two twins or one queen. Owing to Riviera’s English origins, tea and coffee-making facilities are present in all accommodations across the fleet. 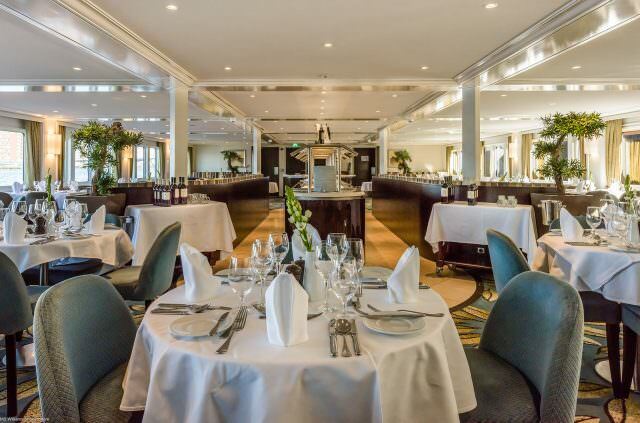 While there are some differences between the ships of the Riviera fleet in terms of size and layout, all feature classic, elegant décor; 24-hour tea and coffee stations; spacious sun decks; and two dining venues: a traditional restaurant and a more casual, stern-facing bistro that serves up light fare throughout the day. The Riviera River Cruises fleet sails the waterways of Europe. Vessels shown are those actively marketed to North American passengers. Looking out over Porto, Portugal, on the Douro River, from the decks of Riviera River Cruises’ Douro Elegance. Photo courtesy Riviera River Cruises. Currently, Riviera River Cruises offers river journeys through Europe on the Danube, Douro, Main, Moselle, Rhine and Rhone rivers. 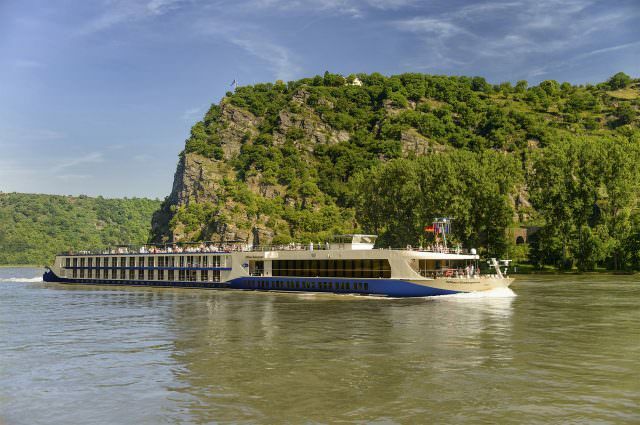 The shortest itinerary offered by Riviera River Cruises is the five-day “Amsterdam, Kinderdijk & the Dutch Bulbfields” voyages in April, while the longest itinerary currently on offer is the 15-day “Cruise the Heart of Europe” voyage from Vienna to Budapest. Another 15-day itinerary, “Gems of Eastern Europe”, sails roundtrip from Budapest, Hungary to the Black Sea and the Lower Danube. Currently, the line does not offer Christmas Markets river cruises to North American guests, though “short-break” holiday cruises are marketed to the company’s UK-based guests. 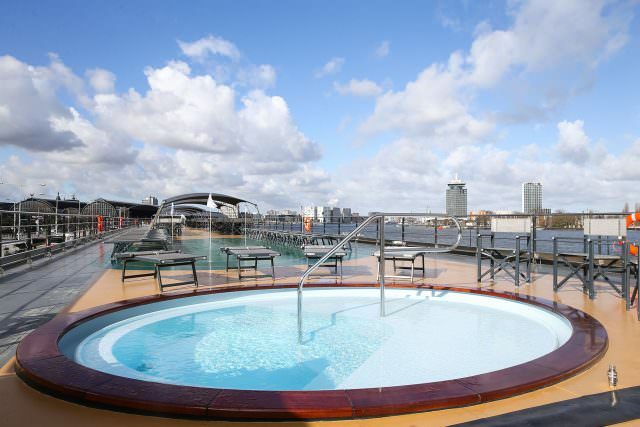 On the sun deck, a large hot tub pool (available on many Riviera River Cruises ships) provides a great way to relax aboard. Photo courtesy Riviera River Cruises.